It does not matter if you spend your summer lounging on the beach, caressed by mountain wind or ... comfortably seated on the couch at your place! Thanks to our new "bulk duplicate" feature you will be able to launch multiple campaigns in a few clicks, and target numerous international markets. 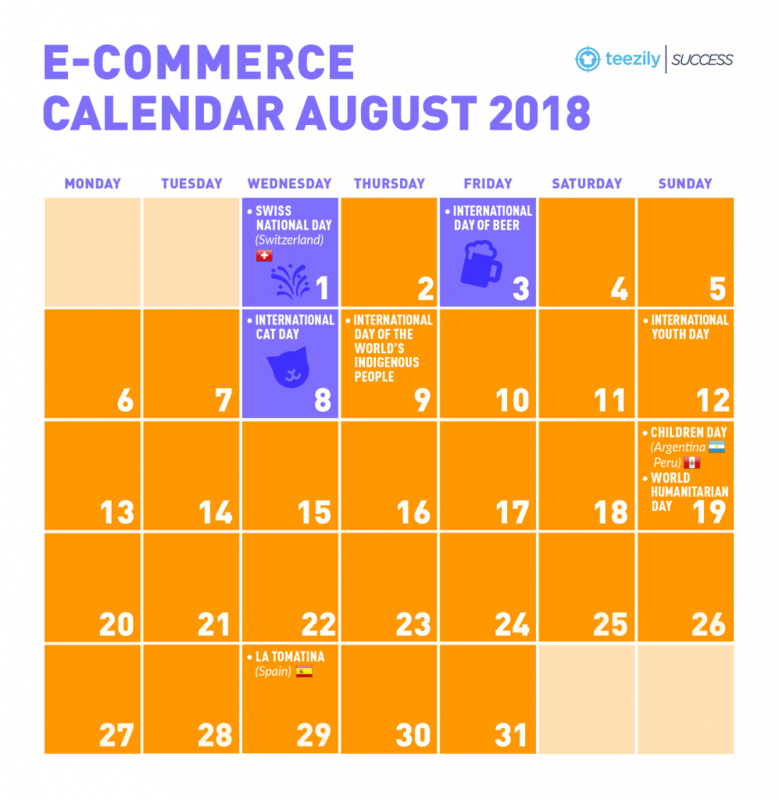 If you think that August is a month that doesn’t offer much in terms of international events ... you should check our calendar! Indeed, the month of August celebrates numerous international events, such as International Cat Day (you know that the "cat" niche is one of the most profitable!) and International Day of Beer ("alcohol" is one of the 5 hottest subcategories of the Teezily Marketplace). And with so many of your customers taking off to exotic destinations ... all you have to do is create a series of "holiday" themed designs, such as "I can not keep calm, I am going to Ibiza" or "I do not need therapy" , I just need to go to Mexico ". Enjoy your summer sales, and do not forget that flowy tank tops are now available worldwide!